Actually, this had been my greatest apprehension about the XXL: Would it be able to deliver enough output to fill my large room? Once I set the subs up, however, I could immediately tell that they could more than deliver the goods. The inputs to the subs are unbalanced only. In addition, I used the stock cord supplied by GoldenEar. There is no on-off switch for the subwoofer. A blue light on the rear illuminates to alert you that the subwoofer is powered up. In addition, a switch on the rear allows you to toggle between mono use (both left and right channels) with a built-in adjustable low-pass filter on both channels, or for LFE or outside low-pass filtered pass-through input. If you have two subwoofers, you can set it to play back one channel alone, either filtered or unfiltered. Initially, I ran the XXL without the main loudspeakers to ensure that I could place them optimally. Already I was taken aback by the volume of sound they produced. When mated with my main XLF loudspeakers, I dropped the crossover frequency on the XXLs to 40Hz and set the volume control on them fairly low as well. It’s fun to hear subs pumping away, but the old adage holds true: The best sub is one that you can’t hear. What I heard with the XXL was an exceedingly tuneful, pitch accurate, and speedy subwoofer. There was no smearing or blurring of notes. 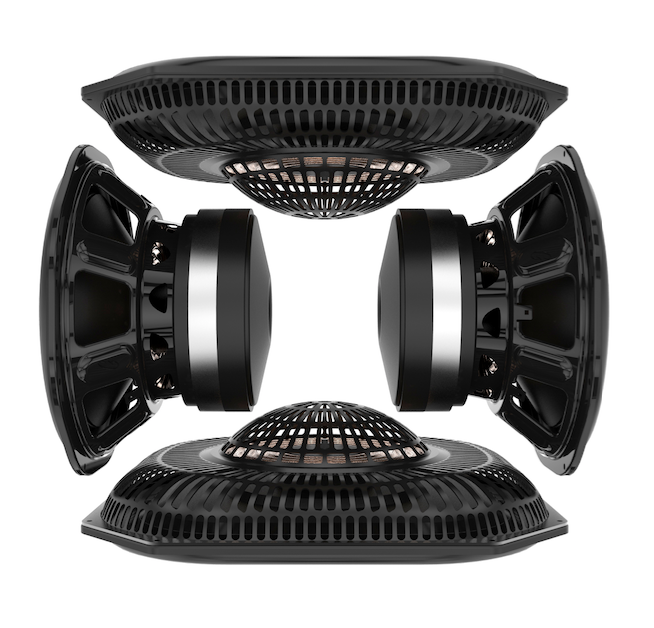 This is no muffin-top subwoofer, where you hear that old bugaboo—deep bass intruding upon the midrange. Instead, you get a sleek and svelte performer that, when called upon, will also deliver tremendous wallop.